If you are looking to remodel your kitchen, figuring out the right kitchen contractors to hire for the job will help make your project go much smoother. The majority of reputable kitchen contractors in Phoenix and Scottsdale have up-to-date websites and are always upfront about their services, experience, and offerings. How long has the kitchen remodeling companybeen in business? Do these kitchen contractors have a physical office and phone number? Do they perform background checks on all of their team members? Do they maintain relevant professional certifications and required licenses? Do they have adequate insurance liability? Does the company provide written warranties? Do the kitchen contractors have a Better Business Bureau A+ rating? Can they provide real-world examples or testimonials of previous and current kitchen remodels? Can they pass along names of clients willing to talk about their experiences with this company? One of the best ways to evaluate kitchen contractors is to reach out via their website or just call them. The key is to see if the company responds to you quickly, or answers the phone right away. We recommend that you work to understand a prospective kitchen remodeling company’s business model and execution strategy. It is imperative that the kitchen remodeling contractor show care and respect for your home, your budget and your time before and during construction. Also be sure that they respond professionally, either on the phone or in an email. A kitchen remodeling company that takes a customer-first approach is worth pursuing further for more information. In the world of kitchen remodeling, there are many customer review websites, such as HomeAdvisor or Angie’s List, that can be helpful. Seek out websites that specialize in kitchen remodeling or contract work. Sites that review a broad range of services tend to not have the highest-quality reviewers on a specific subject matter, like kitchen remodeling. Take time to read each review carefully. Do not just glance at the first one that catches your eye. Be mindful of the posting dates and avoid websites that include customer reviews clustered within days of each other. This strategy may translate into “fake” reviews. The better review websites verify that the reviews are authentic and often, at the very least, publish a real name, city and state, and posting date. 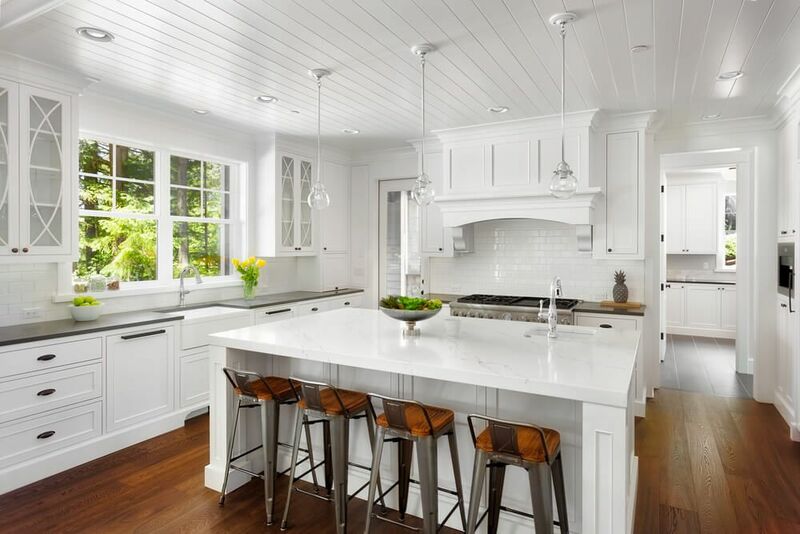 If you are searching through a sea of kitchen contractors in Phoenix and Scottsdale, use the above tips to increase your chances of picking the right one for your kitchen remodeling project. At Republic West Remodeling, we offer complimentary consultations. Contact us today for more information.